ELISA and other orthogonal sample testing for the analysis of assay dilution linearity, spike recovery, and anti-HCP antibody coverage, as well as the identification of downstream host cell proteins that might co-purify with your product. If you have questions or would like a quote, a Cygnus Technologies expert is happy to help! Identification of host cell proteins by antibody affinity extraction (AAE) and mass spectrometry. 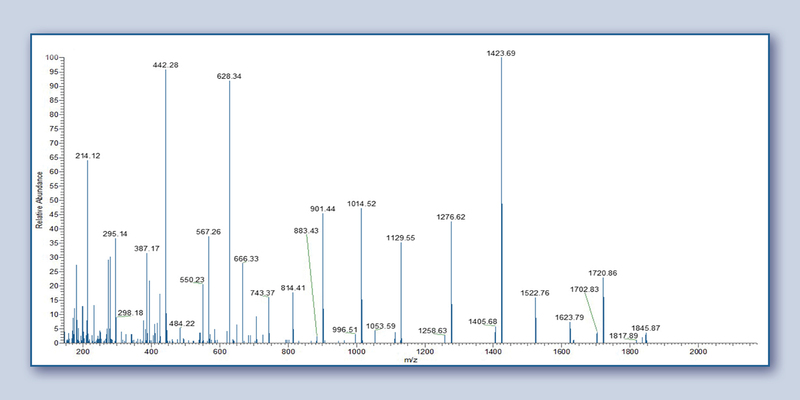 Routine ELISA testing including dilution linearity and spike recovery analysis. Antibody affinity extraction (AAE) for anti-HCP antibody coverage analysis. How do I Perform Spike & Recovery Studies? We recommend performing dilution linearity first to establish antibody excess and the Minimum Required Dilution or MRD since spike and recovery data is only meaningful at the MRD. Should the end user of this kit determine that there is significant product or matrix interference, it may be necessary to further process the sample by methods such as dilution or buffer exchange to render it into a more assay compatible buffer. The same diluent used to prepare the kit standards is ideally the preferred material for dilution or buffer exchange of your samples. In other cases, modification of the assay protocol can improve accuracy in some sample types. For each sample type to be tested, be it final product or in-process samples, you should demonstrate that the assay can recover added HCP or other impurities spiked into that sample matrix. This can be performed by spiking the highest standard provided with the kit into your sample types and then testing in the assay. Using the E. coli HCP ELISA kit, F410 as an example, we suggest spiking 1 part of the 100ng/mL standard into 4 parts of your sample (e.g. spike 100μL of 100ng/mL standard into 400μL of sample) as shown in Table 1. The spiked concentration into the sample in this case is 20ng/mL. A control dilution of 1 part of assay diluent (zero standard) to 4 parts of sample is also performed, to determine the contribution of endogenous HCP in the sample prior to spiking. Both the spiked and diluted, neat/negative samples are assayed. Percent added recovery is determined by subtracting the endogenous contribution of HCP, from the total HCP measured in the spiked sample. Cygnus recommends acceptable recovery should be within 80% to 120% of the spiked HCP. The table below shows example data. If you require spike and recovery at more than one concentration we recommend that the lowest spike levels should be at least 2 times the Limit of Quantitation (LOQ) of the assay and that the contribution of the endogenous HCP in the sample prior to spiking not exceed two times the spike level to be tested. These two conditions will insure better statistical accuracy. 4 parts final product + 1 part "100ng/mL standard"
What is "High Dose Hook Effect"? For any ELISA to give accurate results there must be an excess of antibodies, both capture and enzyme conjugated, relative to the analyte being detected. It is only under the conditions of antibody excess that the dose response curve is positively sloped and the assay provides accurate quantitation. As the concentration of analyte begins to exceed the amount of antibody, the dose response curve will flatten (plateau) and with further increase may paradoxically become negatively sloped in a phenomenon termed "High Dose Hook Effect". Because the possibility exists that some samples may have analyte concentrations in excess of the antibody it is necessary to validate all sample types by dilution linearity analysis to establish if they are on the valid, positively sloped region of the curve or on the negatively sloped hook region of the curve. Failure to test for the potential of Hook Effect can result in severe under-estimation of true impurity concentrations! The issue of hook effect in multiple antigen assays such as HCP ELISA can be more complex. The dose response curve for an HCP assay should be thought of as the cumulative dose responses of all HCPs individually with each HCP having its own hook region determined by the concentration of antibody to that particular HCP. We are practically and fundamentally limited in the amount of antibody that can be used in an HCP ELISA. It is not uncommon in HCP assays for some samples to have certain HCPs in concentrations exceeding the amount of antibody for that particular HCP. In such cases the absorbance of the undiluted sample may be lower than the highest standard in the kit however these samples will fail to show acceptable dilution recovery/linearity as evidenced by an apparent and significant increase in HCP concentration with increasing dilution. This lack of dilution linearity is actually the result of the hook effect for the subset of analytes in excess over their respective antibodies. Poor dilution linearity (Hook Effect) is most likely to be encountered in samples early in the purification process. However, if the purification process is selective for certain HCPs, it may also be seen in downstream and final product samples. Thus, the establishment of dilution linearity is a most critical experiment in the development and validation of HCP assays. Dilution linearity studies are performed at a series of dilutions to establish what we term the "minimum required dilution" (MRD) for a given sample type. The MRD is the first dilution at which the dilution adjusted value for the sample in question and all subsequent dilutions remains essentially constant. The HCP value to be reported for such samples is the dilution corrected value at or greater than the established MRD. Once an MRD is established for a particular sample type, your SOP should reflect that this sample requires this dilution prior to assay. Table 1, below, shows data where a sample did not yield good dilution linearity at high concentration but with further dilution an MRD was determined at which acceptable dilution linearity was obtained. In this example, we conclude that the MRD for this in-process sample is 1:8 and that the concentration of HCP to be reported is 361ng/mL. Once an MRD is established for a particular sample type, your SOP should reflect that this sample needs to be diluted before assay. We suggest defining acceptable dilution linearity as "dilution corrected analyte concentrations that vary no more than 80% to 120% between doubling dilutions". Due to the statistical limitations in the low end of the assay range you should avoid consideration of dilution data where the assay value before dilution correction, falls below two times the LOQ of the assay. 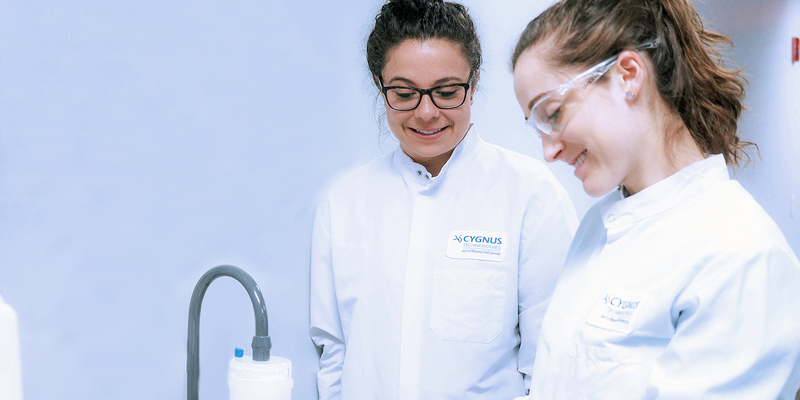 Acceptable diluents may vary from assay to assay and you are encouraged to verify with Cygnus' technical support that your sample diluent is acceptable. In general, the best diluent is the same one used to prepare the kit standards. Assay specific diluents can be purchased from Cygnus in 100ml, 500ml or 1000mL bottles. Assays attempting to measure trace contaminants such as HCPs often in the presence of more than a million-fold excess of the product, can be prone to analytical interference by the product. Similarly, samples from various points in the purification process may also contain components in their matrices that will interfere in ELISA methods. The interference can manifest itself as either a false increase or false decrease in true analyte levels. Factors such as extremes in pH, detergents, organic solvents, high product protein concentration, and high buffer salt concentrations are known interference components. When the levels of analyte are well above the Limit of Quantitation (LOQ) of the assay, dilution of the sample is often the easiest way overcome interference. In other cases, buffer exchange of the sample into an assay compatible buffer will solve the problem. The assay protocol can also be manipulated to overcome some types of sample interference. Users of our kits are encouraged to contact our Technical Services Department for advice on how best to solve sample interference problems. The critical experiments to evaluate product and sample matrix interference are Dilution Linearity and Spike & Recovery. See Poor Dilution Linearity and Poor Spike & Recovery in Troubleshooting Guidelines. What is the difference in Sensitivity and Specificity of Western Blot vs ELISA? For lack of better methods, Western blot has been accepted by regulators as a method orthogonal to ELISA. Some companies have used WB to drive early process development and to qualify anti-HCP antibodies for ELISA based on coverage analysis. Due to its lack of sensitivity and specificity, WB is of no predictive value in determining how a given antibody will quantitatively react to the more limited array and concentration of individual HCPs that co-purify with drug substance. For that reason, Cygnus no longer recommends use of 2D WB. We have instead developed a method termed Antibody Affinity Extraction (AAE). AAE is >100 times more sensitive and more specific than 2D WB and for that reason will give a much more accurate indication of coverage to individual HCPs. More importantly, AAE can be used to determine coverage to the most important HCPs, those that persist through the purification process. See our AAE white paper on our web site. For those who still wish to perform WB considering its limitations and despite the availability of AAE, we offer the following information. Samples downstream in your purification process typically contain HCPs below the sensitivity of Western blot. For Western blot, you are limited in the amount of total protein you can load and still get good PAGE resolution. When you load final product or samples from downstream in the purification process, the vast majority of protein will be the product itself. For example, the maximal load of protein for a PAGE run on a mini gel is on the order of 10µg/lane. If HCP contamination is 100ppm, a level typical of many final drug products, then the amount of total HCP in that 10µg of drug would be 1ng. With the sensitivity of Western blot on the order of 1ng/band it could, in theory, detect HCP contamination down to 100ppm if the 100ppm were a single HCP and not a mixture of several different HCPs. For most purification processes, there are several HCPs that contaminate final product. Because each HCP is very low in concentration relative to the product, Western blot is almost always negative on downstream and final product samples. ELISA demonstrates less interference from drug product and shows sensitivity more than 100-fold lower than Western blot. As such, ELISA will typically allow for the detection of total HCP contamination to less than 1ppm. There are many other fundamental reasons why the sensitivity of Western blot is inferior to ELISA. For example, Western blot often requires that the PAGE step be carried out under reducing conditions (DTT or BME followed by boiling) and in the presence of high concentrations of SDS detergent. These procedural components may actually denature or block some of the native HCP epitopes that would be detectable in an ELISA. Incomplete transfer of the proteins out of the PAGE and onto the membrane and adsorption on the membrane at or near antigenic sites will also limit the amount of binding seen by Western blot. As you try to increase the sensitivity of Western blot, it is very common that the specificity of the method is also compromised. What is typically seen is that a non-immunoreactive protein present in very high concentration (e.g. your drug substance) will invariably adsorb some of the excess anti-HCP antibody non-specifically leading to the erroneous conclusion that the anti-HCP antibody seems to "cross-react" with your product. The way to confirm this non-specific binding to your product is to use a non-immune immunoglobulin of the same species and at the same concentration as the anti-HCP antibody. If the intensity of the drug substance band is the same with both the normal goat IgG and the anti-HCP antibody, you can conclude the band is non-specific. Specificity can also be confirmed by loading much smaller quantities of your drug substance in the range of 1-4ng/lane. If there is true cross-reacting antibody that might manifest as false HCP levels, you should still see a strong product band. Beyond these experiments, it should be understood that the specificity of the ELISA method is typically orders of magnitude better than Western blot owing in large part to the fact that any protein must be bound simultaneously by both the capture antibody and the detection antibody. For this reason, most artifactual product bands in the Western blot will not yield apparent HCP activity in the ELISA method. While Western blot is of little value for detecting HCP in all but very upstream samples, it has continually been used for demonstrating that the antibodies in the ELISA kit react with the majority of the HCPs from your cell line. This is typically a one-time experiment where you lyse some cells or use conditioned media from your cell line in a Western blot and compare the blot to a protein stain from PAGE such as colloidal gold or silver stain. If the homology is adequate one can conclude that the antibody has adequate reactivity in the ELISA kit, although it is only through validation of the ELISA that one can conclude that the antibody is adequate. Why is Dilution Linearity important? Dilution linearity is a critical qualification experiment that should be performed on all downstream samples for which HCP impurity data is required. This experiment involves performing a series of doubling dilutions to obtain HCP concentrations within the analytical range of the assay using an approved assay diluent. These dilutions are then assayed, and a dilution corrected impurity concentration is determined at each dilution. This dilution linearity study establishes freedom of sample matrix interference and also demonstrates the important condition of antibody excess for the array of impurities in your samples. Please refer to the section on "Hook Effect: What is "High Dose Hook Effect"?" in our FAQs. Dilution linearity analysis should be one of the first qualification experiments you perform to determine if the assay accuracy is fit for purpose. It is critical for HCP assays because very high concentrations of certain individual HCPs may approach saturation of the antibody against that particular HCP. When this occurs, there is a risk of significant under-quantitation for that HCP. By performing dilution analysis, one can verify if the antibody is in excess and that the sample matrix itself does not interfere. If the antibody is in a limiting concentration or the sample matrix causes a negative interference what will be observed is that the apparent HCP concentration for a sample increases with increasing dilution. In most cases a dilution will be reached where the dilution corrected value remains essentially constant. We term this the Minimum Required Dilution (MRD). The table below shows example data where a sample did not yield good dilution linearity at high concentration, but with further dilution an MRD was determined at which acceptable dilution linearity was obtained. In this example we conclude that the MRD for this in-process sample is 1:8 and that the concentration of HCP to be reported is 361ng/mL. Once an MRD is established for a particular sample type, your SOP should reflect that these samples need to be diluted before assaying. We suggest defining acceptable dilution linearity as dilution corrected analyte concentrations that vary no more than 80% to 120% between doubling dilutions. Due to the statistical limitations in the low end of the assay range you should avoid consideration of dilution data where the assay value before dilution correction approaches the LOQ of the assay. Acceptable diluents may vary from assay to assay and you are encouraged to verify with Cygnus Technologies that your sample diluent is acceptable. In general, the best diluent is the same one used to prepare the kit standards. Assay specific diluents can be purchased from Cygnus in 100ml, 500ml or 1000mL bottles. Contact Cygnus for information on acceptable diluents. Should you determine that there is significant product or matrix interference and simple dilution is not an option, you are encouraged to contact the Technical Services Department for advice on how best to solve sample accuracy issues. 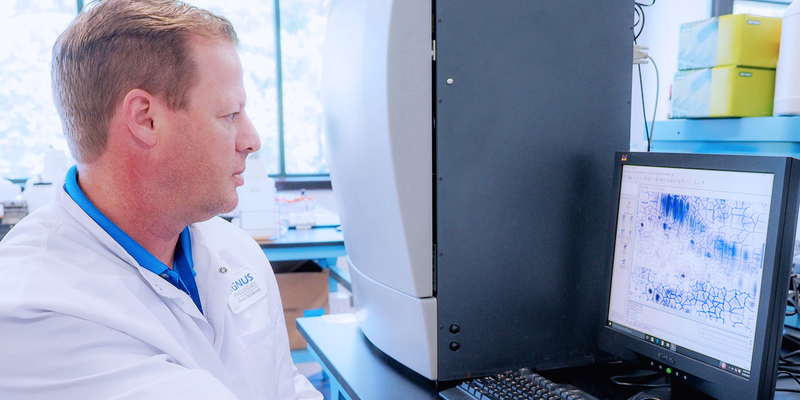 With analysis of your data, our experience staff can offer the optimal solution which may involve modifying assay protocol, sample treatment prior to assay, improving your purification process, or development of a more process specific assay. lf you have questions or would like a quote, a Cygnus Technologies expert is happy to help!